Back in the 1980s, London was an exciting place to be if you were young and interested in music, politics or fashion, though the cultural energy wasn’t reflected in the choice and range of restaurants. The city certainly hadn’t become the centre of gastronomic excellence that it is today. The opening of Cafe Pacifico in a former banana warehouse in Covent Garden in 1982, was a source of celebration and excitement. 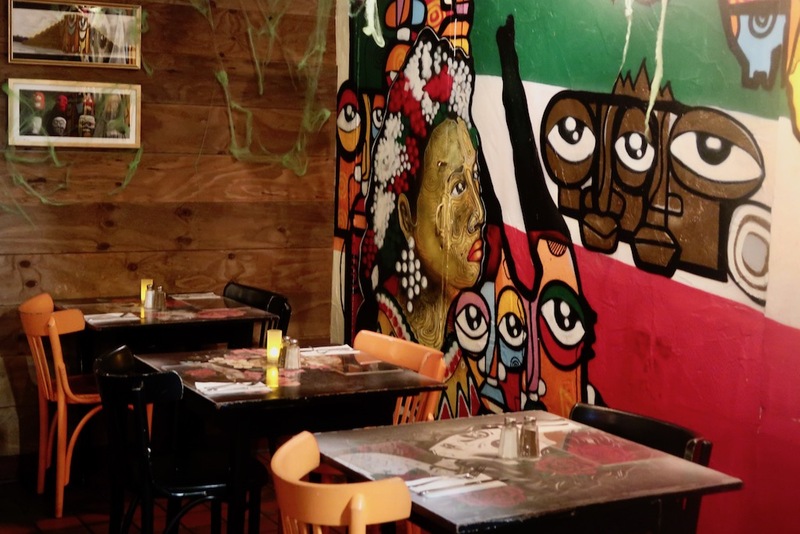 Ever since then the restaurant has become something of an institution seeing off many rivals in the process and serving up classic Mexican food and prize-winning cocktails to a hungry London crowd. In my view, it’s still one of the best restaurants in Covent Garden for this kind of dining. On the evening we visited the joint was packed and decked out for Halloween (the Mexican Day of the Dead) with spooky spiders’ webs giving lots of atmosphere. 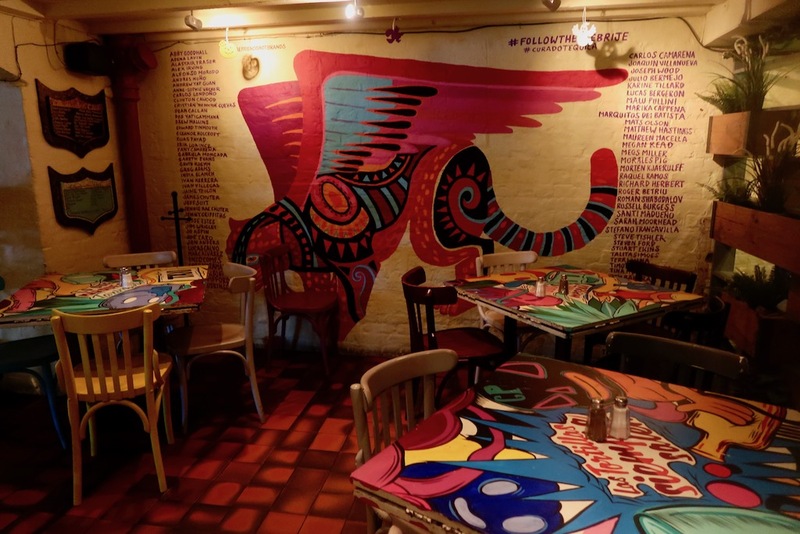 The interior reflects the building’s warehouse heritage with quarry tiles on the floor, closely-set wooden chairs and tables and walls covered with vibrant Mexican murals. Cafe Pacifico has built a real reputation for the quality of its cocktails and especially its prize-winning Margaritas so it would have been churlish not to give them a try whilst nibbling on some moreish tacos with tomato salsa. 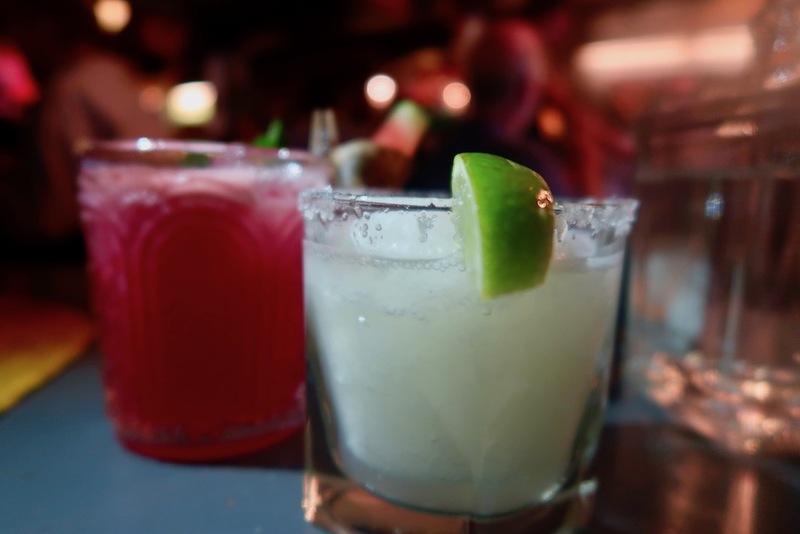 The Pacifico Margarita is made with Ocho Blanco Tequila 2017 Las Aguilas, agave nectar and fresh lime juice and was infused with that characteristic agave flavour – it was an elegantly delivered version of the classic Margarita. The 2018 award-winning Pomelo Margarita blends Jose Cuervo Tradicional Reposado Tequila with watermelon, mint, lime, pomegranate orange liqueur and homemade citrus bitters. Not too sweet it is a refreshing and stylish alternative to the classic. 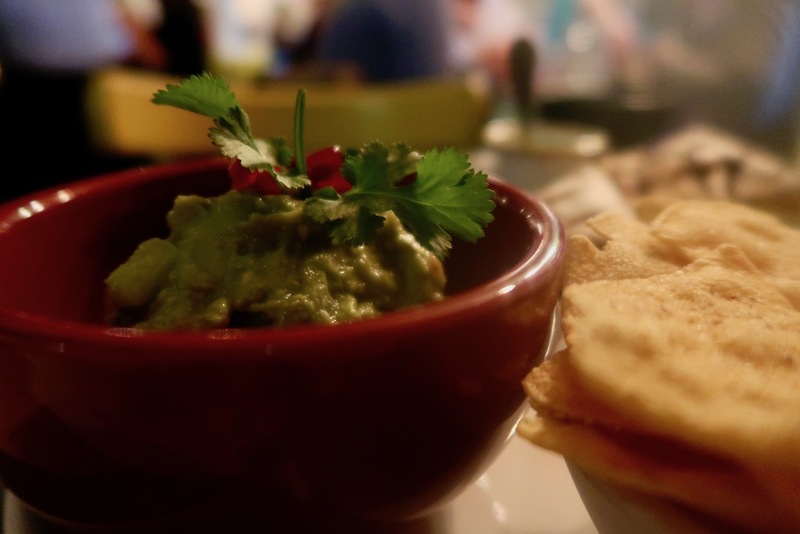 I always think that the quality of the Guacamole is a great test of a Mexican restaurant. The Cafe Pacifico version is deliciously chunky yet creamy with the avocado enhanced with pomegranate seeds, red onion and coriander leaves. 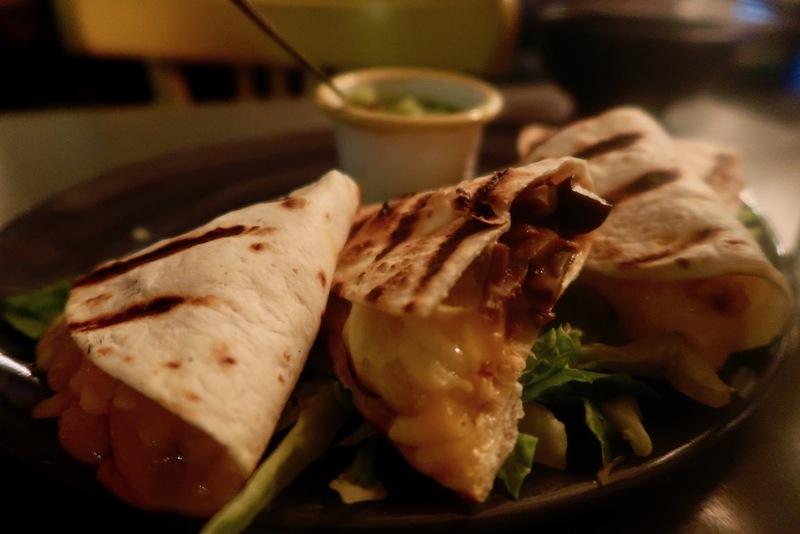 I loved the smoked chicken and wild mushroom Quesadillas; oozing with melted cheese and coming with roasted red peppers and a tomatillo and avocado salsa the smokiness of the chicken and richness of the mushrooms created an irresistible mouthful. Clearly we needed more Margaritas as one is never enough! The 2017 award-winning Margarita Rumble brings together Jose Cuervo Tradicional Silver tequila with fresh passion fruit and vanilla agave infusion, lime juice and citrus zest bitters in a sensual passion fruit embrace. 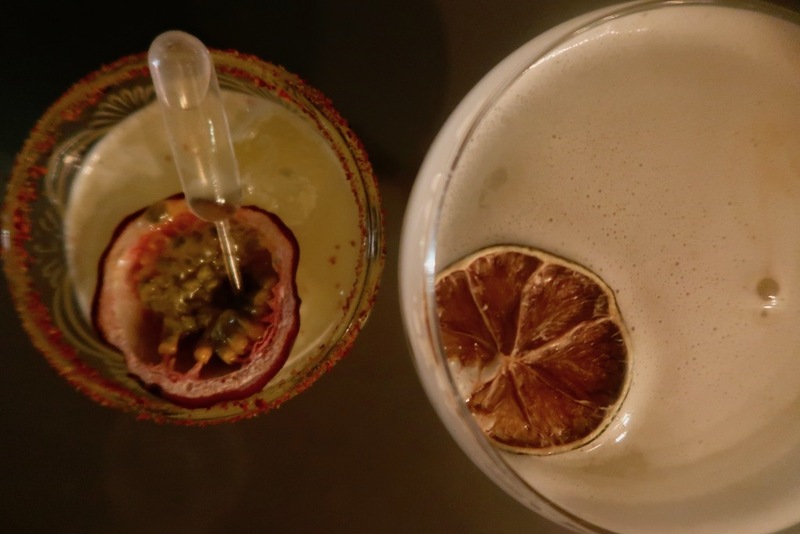 The South American staple Pisco Sour was made with El Gobernandor Pisco, fresh lemon juice, gomme, fresh lemon juice, egg white and Angostura bitters. It was gentler and less citric than the many other versions I’ve had…but still good. Main dishes were substantial and robust. 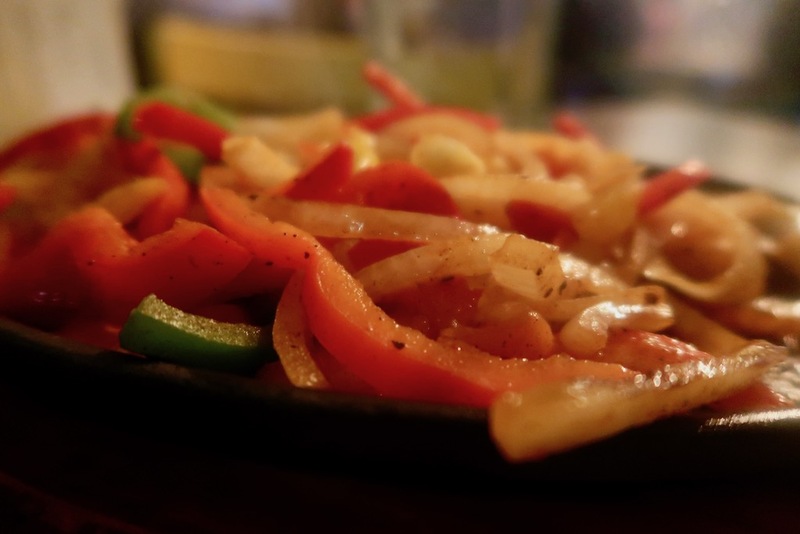 King prawn fajitas came served on a sizzling steaming hot skillet with onions and peppers and a grilled tomato chipotle salsa, roasted tomatillo salsa, crema Mexicana and flour tortillas served with black beans. The prawns were tastily charred bathed in a sea of peppers and onions – a perfect winter dish. 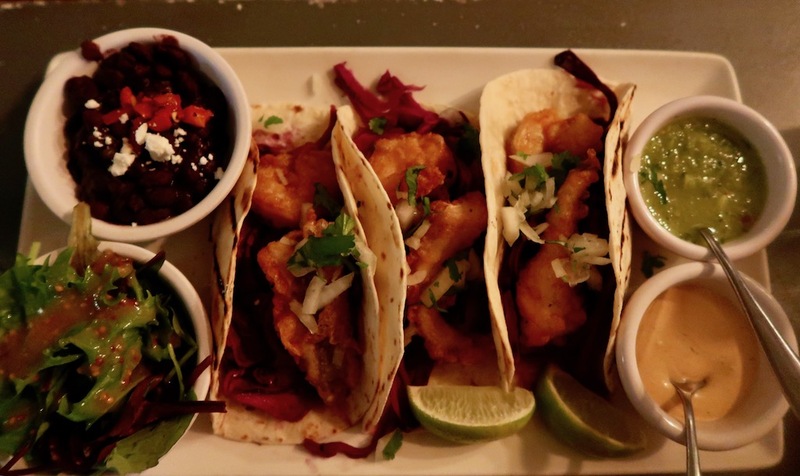 Three tortillas were filled with crisp, light tempura seabass and king prawns. They were complemented by the crunch of a red cabbage and jicama slaw, onions and coriander, and by the heat of smoked chilli mayo, fresh tomatillo salsa. Served with black beans and a fresh mixed green salad this was another great plate of nosh. 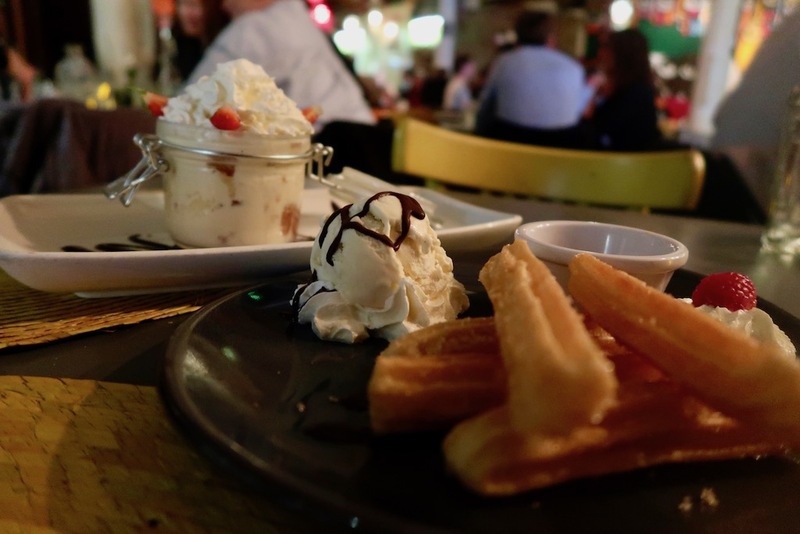 For dessert, we had to go for the Churros, sinfully sugared deep-fried doughnut sticks with ice cream and a spicy chilli chocolate sauce. 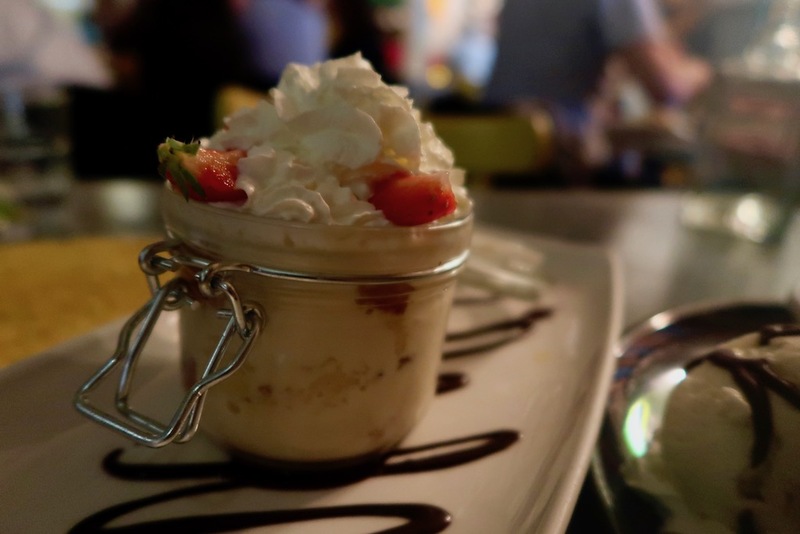 The Pastel de Tres Leches, a three milk sponge cake covered with vanilla flavoured whipped cream and baby strawberries – a real creamy treat! 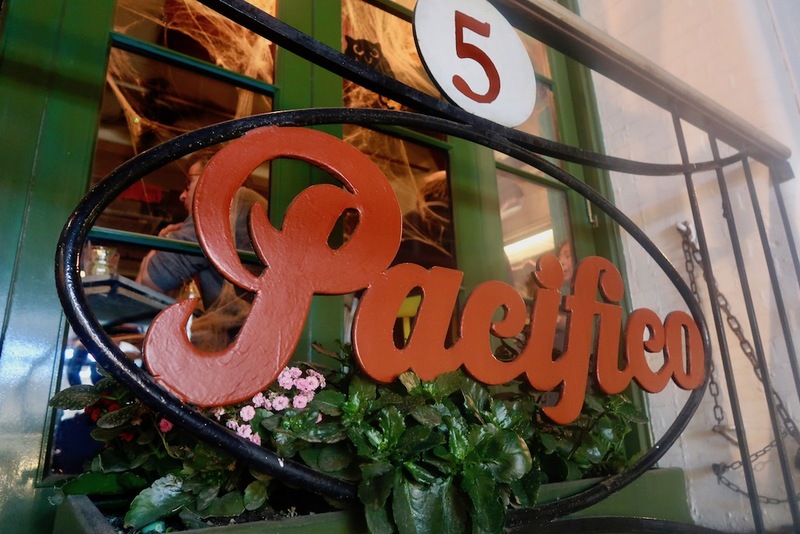 Calvin Harris sang ‘I’ve got love for you If you were born in the 80’s’ and that’s what I feel about Café Pacifico. It’s still pumping out its greatest hits and keeping the punters happy – if you haven’t been you should!